Terengganu is an enchanting state located along the east coast of the peninsular. There are many islands off the coast of Terengganu that are so beautiful, it is definitely hard to pick the right island to stay at and explore. Tenggol Island (aka Pulau Tenggol) features many wooden chalets facing the sea that will definitely be a romantic gateway for you and your loved one. 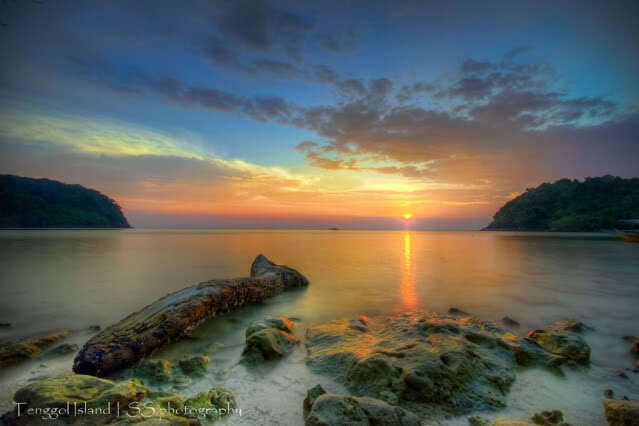 The greenery that fringes the beach here and the never ending horizon and perfect sunsets are key ingredients available here that will definitely make your holiday at Pulau Tenggol a memorable one. It is a perfect destination to consider spending your honey moon or an anniversary! Celebrate love at Pulau Tenggol because it is an amazing island with a traditional charm to it. The island is perfect for a gateway in which seclusion and relaxing is prioritized. There are many resorts here that will definitely suit your needs. Whether it is a honey moon, a quiet gateway to unwind and recharge before heading back to the city or just a quality holiday time with the family, this island has many resorts that will definitely make your holiday here a comfortable and memorable one. The resorts look out to the clear turquoise water and you will definitely want to try out the many charming cafes along the beaches that dish out some of the best local delicacies. 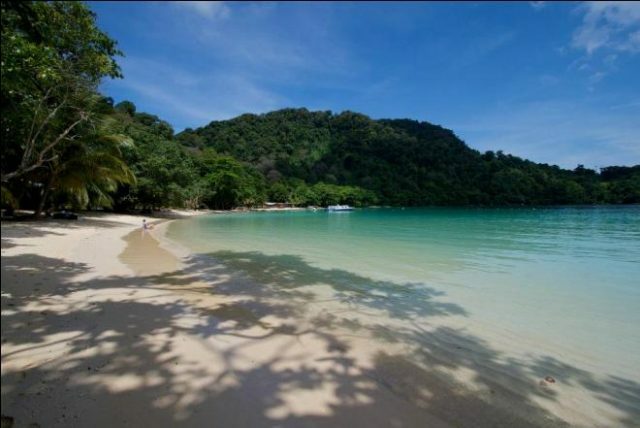 In the evenings, take a stroll down the stretch of beaches here at Pulau Tenggol. The sunsets here are beautiful and worth waiting for. There is nothing better than walking hand in hand down the beautiful beaches of Tenggol Island and enjoying yourself. The beaches here are ideal for sunbathing or just relaxing as you read a book or look out to the beautiful horizon. The waters here are also ideal for snorkeling. The underwater world will definitely leave you mesmerized and one snorkeling session in the water is definitely not enough to satisfy your desire to see more of this beautiful marine environment. Diving is also a must here. There is just too much to explore in the waters around Pulau Tenggol so do start out your day early! The resorts on the island do offer many exciting and good deals in their packages that take you around the island and even provide convenience for your trip. Besides snorkeling and diving, you can also rent canoes to paddle out into the water and just enjoy the gentle breeze.